➤ A seal is a device which helps join systems or mechanisms together by preventing leakage (e.g., in a plumbing system), containing pressure, or excluding contamination. The effectiveness of a seal is dependent on its adhesion. 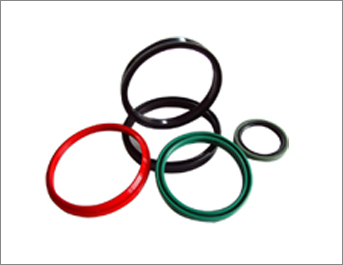 ➤ We manufacture a variety of seals which vary depending on their physicality and area of application. ➤ U-V Seals are asymmetrical lip profile with its inner part grooved in ‘U or V’ shaped to provide sealing and prevent the ingress of dust, oil, fluids or other hazardous particles. Applications : Hydraulic & Pneumatic Application, Gears, Pumps & valves, Auto Industries, etc. 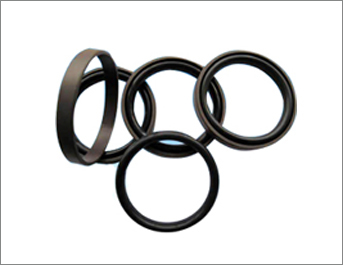 ➤ Quad Rings are seals that are designed with a section of 4 lobes offering symmetry advantages similar to an O-ring, but providing an improved solution for the sealing of pneumatic applications. 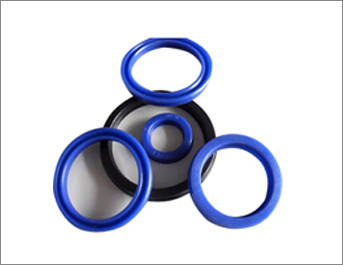 ➤ Seal Kit for Cylinder, Rod Seal, Lip Seal, Hydraulic Seal, Cup Seal, Bucket Seal, Dust Seal, Air Seal, Piston Seal, Rotary Shaft Seal, Nut Ring, Chevron Seal are some other types of Rubber Seals that we manufacture.